Welcome to the Women Seeking Christ Community! We’re glad you found us and we want you feel at home and welcome here! We encourage you to visit often and participate in conversations by commenting on our blog posts. Please subscribe and receive email notifications when we post and follow us on social media for updates and more interaction. 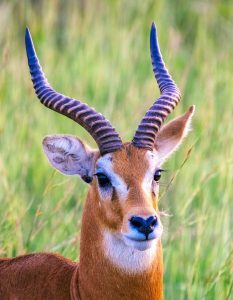 Some call her Dorcas and others Tabitha, but both mean gazelle, a picture of delicate beauty. Playful animals at heart, they offer protection and social interaction by living in large herds – sometimes up to 700. Befitting her name, Dorcas is social and hospitable, along with being beloved in the community. Only seven verses in scripture describe this exceptional woman, but we can glean a lot from them. These verses provide a glimpse into a life where peace reigns and women love, care, and support each other. Practicing her faith openly in such perilous times attests to her strong convictions and trust in her new Lord and Savior. All the widows stood by him …showing the tunics and garments which Dorcas had made…. Developing Dorcas style relationships and faith is the purpose of Women Seeking Christ. A no judgment zone where we ask questions, express doubts, share concerns, and celebrate victories. Thoughtful comments and reflections are welcome on all blog posts, and the guest blog provides an outlet where sisters in Christ can share their thoughts about life and faith. No website? No problem. Not a professional writer? That’s ok too. Anyone can blog here as long as the content is Christ centered. Also, check out the devotional page and watch for information about an upcoming book club. Glad you found us. Visit often as we gather together and develop Christ loving relationships, both online and in our communities. Perhaps we will meet in person someday, if not in this life – certainly in the next. What a glorious day that will be!